In Mexico, a study was carried out to identify the financing flows directed to projects related to emission mitigation and climate change adaptation. It examined financing flows from international sources, specifically from multilateral and bilateral organizations, and how this contributes to the fulfillment of national mitigation and adaptation goals. The study showed that Mexico has become a major recipient of international financing for the implementation of projects that benefit the climate and the environment. During the period analyzed, 2014-2018, Mexico received 61,165,646,524 pesos to finance 75 projects. About 46% of these resources are aimed at mitigating climate change effects, 47% focus on transversal activities (that is, projects that reduce polluting emissions and vulnerability to climate change) and, finally, just 7% are directed towards adaptation projects. The resources analyzed come from 14 institutions that were identified as the main sources of financing. The institution that provides the most resources to Mexico is the Inter-American Development Bank (IDB) with 53% of the total financing, followed by the German Development Bank (KfW) with 31% and the World Bank with 5%. The French Development Agency, in association with the KfW, also contributes 7%. Since the objective of the analysis was to examine the relationship of the financing flows with the national emission reduction goals established in the Nationally Determined Contribution (NDC), the sectors that receive the most support were identified. The results revealed that, up to this point, the sectors that have benefited the most and that have resources aligned are the energy sector (45%), as well as the housing and environmental sectors. This is relevant given that the energy sector is the second largest emitter of greenhouse gases (GHGs). However, it is also necessary to expand efforts in other sectors with significant emissions, such as transportation and industry, which place first and third in emissions. Importantly, 86% of the projects were financed through government loans—that is, the country took on debt. In addition, tracking the extent to which resources are used to meet objectives is complicated because the resources are channeled through the Ministry of Finance and Public Credit (SHCP). 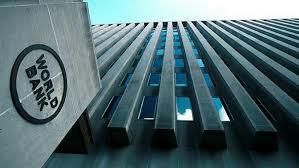 The analysis helped identify existing barriers and offered several recommendations for improving international climate change financing, including increasing knowledge about available financing mechanisms and instruments, and strengthening the technical capacity of project developers to elaborate proposals that comply with the requirements of multilateral and bilateral organizations. 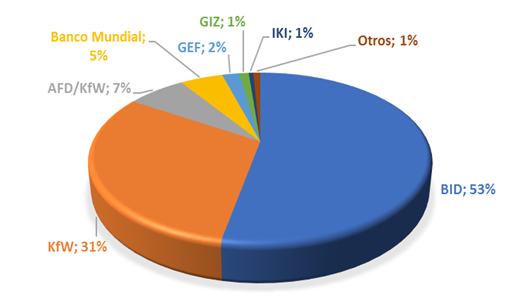 The study was prepared by the Climate Finance Group of Latin America and the Caribbean (GFLAC) and based on a mapping of international resources received by Mexico during 2017 and 2018, as well as information from Transparencia Mexicana for the period 2010-2018—with the latter adjusted to the GFLAC methodology. In addition, the study was supported by the Mexican-German Climate Change Alliance of the Deutsche Gesellschaft für Internationale Zusammenarbeit (GIZ) GmbH, which forms part of the International Climate Initiative (IKI) of Germany’s Federal Ministry for the Environment, Nature Conservation and Nuclear Safety (BMU). Our newsletter 'IKI Alliance Mexico' keeps you informed about upcoming events, publications and news from current and future IKI projects in Mexico. The newsletter is available in English and Spanish. You can subscribe to our newsletter, free of charge and with no commitment. The personal details you give us here will be used only for processing your subscription. We will not pass them on to third parties. When you are asked to submit personal information while using our services, you are free to choose whether or not to provide this. Any personal details collected as part of this newsletter subscription will be used for the purpose of processing the subscription and dealing with your enquiries. Your details will not be passed onto third parties. No use will be made of your details for consulting purposes, for advertising or for market research. If you cancel your subscription, all your personal details will be deleted from our database.